What’s changed with the MySQL 5.6 Developer certification? Like the old exams, the new exam is computer-based, administered by PearsonVue, but the new exam consists of 100 questions and takes 150 minutes. A passing score is 64% or greater. Compare this to the old exams, which had 70 questions each, over 90 minutes and a passing score of 60%. No True or False questions. Oracle has set the standards on that policy and I had to update the ol’ 5.0 exams to make certain there the T/F questions were removed. Why is this important? Don’t you have a fifty/fifty chance on T/F questions? The trouble is that some of these questions were a wee bit tricky and needed parsing plus a full understanding of the subject to get them right. For fairness, it is easy to do without the T/F questions. No more pick up to N answers. Once again, for fairness. Finally, the cost – EUR193.00 + VAT – this compares favourably with the combined cost of sitting the two 5.0 exams – EUR308.00. How do I prepare for the MySQL 5.6 Developer exam? Good question. No really, that’s a good question. For some reason Oracle released the 5.6 Developer before publishing an updated Certification Study Guide. DBA’s are in luck however – there’s a new MySQL 5.6 DBA Exam Guide available, but alas there’s nothing similar for the Developer exam. 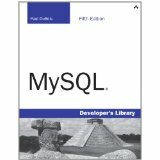 Paul DuBois has written an excellent MySQL 5.6 Developer Library book, which covers a lot of the new functionality in MySQL 5.6 – but unfortunately it doesn’t specifically deal with exam preparation – there’s no practice questions, and a few of the exam topics are missing. So, I’m also using the old MySQL 5.0 Certification Study Guide (also written by the prolific Mr DuBois) to prep for the new exam, but taking care to double-check anything that may have changed in MySQL 5.6, and using online resources to fill in any remaining gaps. I’m hoping to sit the 5.6 Developer exam in a few weeks, so I’ll update this blog with my experiences in preparing for and hopefully passing the exam. Stayed tuned, and let me know below if you’re studying for the exam, or if you have passed it already.